The Sabbat World have been lost to the Imperium for many long centuries. Now, a crusade fights to reclaim them. 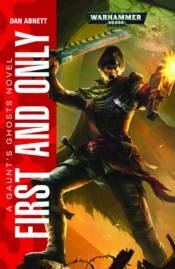 In its midst are Colonel-Commissar Ibram Gaunt and his 'Ghosts,' the brave men of the Tanith First-and-Only. As they survive battle after battle, Gaunt and his men uncover an insidious plot to unseat the crusade's warmaster, a move that threatens to destabilize the war effort and undo all the good work and sacrifice of millions of soldiers. With no one to trust and nowhere to turn, Gaunt must find a way to expose the conspiracy and save his men from a needless death.